This round is on the house! 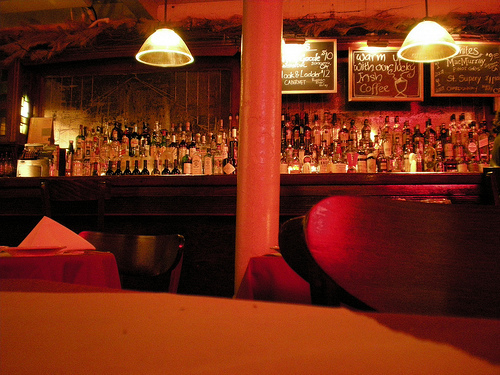 Either you’re a familiar face who pops by almost every day to have a drink and a chat or if you’re a temporary guest, a stranger who ended up here by accident as you were travelling elsewhere, I invite you to all my virtual bar desk tonight to have a free drink of your choice. We’ve got something to celebrate tonight, you see. I know it might see a bit out of place to speak words of cheer and joy at this moment. Words about what happened in Boston have reached as far as to this remote place up in the north. It puts a sad tone to everything we do. How can we go on with our trivial little things under those circumstances? On the other hand: how can’t we? Someone wants to fill us with terror and dread and take away happiness and joy from the world. We can’t let them do that. So this morning I went out for a jogging tour before breakfast. I can’t remember last time that happened, but it felt right. No one should stop us from running. And this night I’m inviting you for this little party at the café. Because we need to grab every opportunity we can to share and cherish the good things that happen to us. My excuse for offering free drinks tonight is that we’re celebrating the fact that The Velvet Café has received some recognition in the form of nominations for the Lammy awards. This event is organized by LAMB, which is an organization for movie blogs and podcasts, with currently about 1500 members. Award winners are appointed in 17 categories through a voting process among the members. The nominations for the 2013 awards have now been announced, and it turns out that The Velvet Café has been nominated for three categories: Best Community Builder, Best Movie Reviewer and Best Blog. Considering how many excellent blogs that had been submitted for each category, I must say that I was stunned at receiving the news. Regardless of what happens in the next step, I already feel like a winner. If you’re one of those who sent a nomination my way, I just want to say thank you! Even if I don’t blog in order to get rich and famous, it’s still a nice little boost for the ego to see that there’s someone out there who likes what you’re doing. My thanks also go everyone else who is present in this room. All of you who visit and comment at The Velvet Café have contributed to this. I’ve said it before and I say it again: you help keep this place running. You can head over to the LAMB if you want to read the full announcement and the list of nominees for the Lammy awards 2013. But before you go, have a toast with me! For the pleasure of writing and reading blogs and for being a part of the film fan community. It brings us joy and the strength we need when we need it most. Congratualtions Jessica. You deserve all and any recognition you receive. Here’s to another win! Cheers!! Thank you so much Vicki! Your and Karl’s support means a lot to me. I feel related in our shared love for sci-fi. Just so you know, I voted for you, even though my support wasn’t enough to get you a nom. I tried registering my movie blog with LAMB way back in January, they indicated I would hear back by email, and I never heard back. I guess my movie blog is not good enough. That’s nonsense! You’re an excellent blogger and I think you’d stand a chance in those awards provided that you got involved in the community. It’s got nothing to do with your blog not being good enough; the thing is that LAMB has been overwhelmed with applications for a period. During the Lammy award season they have temporarily closed the intake of new members, but they’ll start again as soon as it’s over. I’ve also seen in the past that being active, getting back asking about the status of your application, showing an interest might help speed things up. 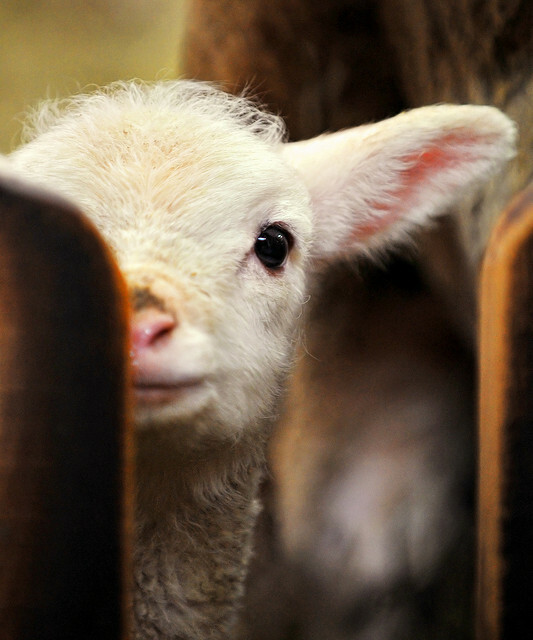 Follow Lamb on twitter, send a tweet their way, register in the forum… You’ll be a member before you know it. It sounds strange though that you never got a confirmation email back. You’d better check up so your application didn’t get lost on the way. It’s not that big of a deal – I got enough external validation to last me a year when David Edelstein commented on an article about reviewers and books. But my wife (who set up the blog) was upset when she went on to their website and looked at the last six blogs that HAD been accepted by LAMB – e.g., the last one has not posted since February 17. … Anyway, I would have loved to vote for you, but I’m not a member of the cabal. Congrats anyways. That is certainly some recognition! Congrats! Again: I think it’s just the issue of a high number of new members at the same time. I think it’s a shame though. You’re a solid blogger and it would be an honor to be a fellow lamb to you. … I did get a confirmation – back in January. I just never got membership to the site. Congrats Jessica, well deserved. Keep up the good work. Thank you! You’re one of my must supportive commenters here. It’s so appreciated. And congrats to your own nomination! Fantastic news, Jessica. Very glad about your nominations. I might’ve had a little something to do with that 😉 Cheers! I think you have more than a little to do with it, not just in terms of voting, but in terms of your never ceasing support of the café. Thank you Fernando! You’re certainly welcome, Jessica. You know how I love the café! You’ve got your own special seat reserved for you, as a guest of honour. Congrats Jessica! The coolest thing about your blog is it stands out. Your reviews stand out. The blog’s name stands out. In other words your nominations are well deserved! Cheers! Awww, thank you. Now I feel embarrassed and don’t know what to say. So I’ll grab the chance and congratulate you on your very well deserved nomination. It’s a crazy competition in that category this year. I think the standard in that category is just as high – or higher – as the best overall blog category. Congrats! You definitely deserve each of those nominations! Thank you Garrett! I’m very proud to be considered. Congrats! It’s very well-deserved, and I was glad you got nominated. Thank you and dito! You’ve got several well deserved nominations as well. In some categories we’ll be up against each other; to me there’s no question you’re more deserving. But it’s an honour to be nominated aside with you. Congratulations Jessica! I think it’s extra special to be nominated this year because of the vast improvements in the whole process and the high quality of competition. Good luck in the final voting! Thank you! Indeed the process has improved – and the quality of the blogs. Especially the category Best New Lamb is crazy. I doubt I would even have gotten a nomination if I had been in it this year. Also: congratulations to all of your nominations! It’s very well deserved and I hope you’ll grab some award in the finals! You certainly will Mark. I recently made the mistake of buying a non-Scotch whisky in the tax-free shop as I was returning from my US trip. Such a mistake! I won’t make it again, that’s for sure. Again: congratulations to your well deserved nominations. It’s such an achievement: to be nominated not only in the “best new lamb” category, but outside of it as well. You are a very strong contender and whatever award you may win in the end, it will be well deserved. Three nominations are pretty impressive, and well deserved. Good luck in the finals. Thank you! I’ll echo you and congratulate you for your well deserved nomination. Best of luck ! Cheers! To you being awesome! I hope you get additional deserved recognition. It’s so nice to still have you with me, cheering and supporting after all those years, Klep. It’s a different place, but the hostess is the same deep down. Thank you! Hey there! Another dear voice calling me from the past! It’s great to see you around here. Thank you! I don’t get much time to comment, sadly, but I still enjoy reading your work. 🙂 Keep up the good work, and hopefully this is the beginning of something beautiful. Storybricks! I’m glad to see this thing is happening! Thank you so much Stevee! And congratulations to your nomination! Hadn’t you taken an extended break from blogging, I’m sure you’d be in many more categories. Big congrats! We can toast some more this Saturday. Oops! The round I’m offering is a virtual one, right? Thank you! And best of luck to you too! I noticed you got several nominations, which is incredibly well done considering you’re one of the “new”. Thank you so much Rodney! I really appreciate your support! Congratulations, Jessica! Three well-deserved nominations. I know I don’t comment here too often, but I always enjoy reading your work. Great to see your blog being recognized. Thank you Eric! And it’s great seeing you here, stepping out of the shadows. Have a drink! BIG congrats on your nominations. So very well deserved! There are so many deserving bloggers out there, so I feel very lucky to have been remembered. Thank you! Congratulations on the nominations, Jess! You deserve it!!! Jessica, I will take a White Russian please, as a matter of fact make it a double. Congrats on your well deserved Lammy Nominations and best of luck. I’m sorry for the slow serving today. For once it’s been a sunny day in Sweden and I’ve spent the day away from the keyboard. Anyway: thank you so much. The drink is on its way! great to hear! As far as I get it will mostly rain in the days to come, as it did last week. So I was really anxious to absorbe whatever light I could while it was there. I felt starved. Congratulations Jessica, have received one nomination as well (for the category which matters most to me, so I’m really happy). I voted today and can already tell you that you got my vote for Best Movie Reviewer and Best Blog. You approach your reviews in a very unique way and that’s why I will read everything you write (which I don’t do for every blog). Hope you win at least one LAMMY, you deserve it. Why, thanks! I don’t expect to get any votes at all. I’m humbled and pride to get yours. You’re a voice of reason in the blogosphere who I really respect. Congratulations to your nomination too. And yes: I’ve already voted and you had my vote.